Influenza A virus is one of the top three diseases affecting all phases of swine production, and can lead to major economic consequences. Influenza A virus in swine (IAV-S) is one of the top three diseases affecting swine in all phases of production, so it’s no surprise that it can lead to major economic consequences for producers.1,2 The first step to getting a better handle on IAV-S is gaining a better understanding of the disease’s clinical signs, the havoc it wreaks on pigs, the routes it uses to spread, and why it’s so difficult to control. When IAV-S does rear its ugly head, it causes respiratory disease, with clinical signs typically appearing one to three days after infection.4 Those signs include fever, coughing or sneezing, runny nose, difficulty breathing, going off feed and lethargy. IAV-S commonly infects pigs in all stages of production, particularly in the early nursey phase when they’re starting on feed and early in the grow/finish phase; however, pigs of any age are susceptible. Uncomplicated IAV-S infections have an approximately 10–14 day infection and recovery period. However, they’re the exception, not the rule, because of how IAV-S attacks the cells that line the respiratory tract of pigs, weakening their first line of defense against subsequent respiratory infections. Clinical signs of Influenza A virus in swine include coughing, sneezing, difficulty breathing and lethargy. However, because infections can be subclinical, they often go unrecognized until it’s too late. The peak time for transmission occurs within the first 48 hours of an IAV-S infection. 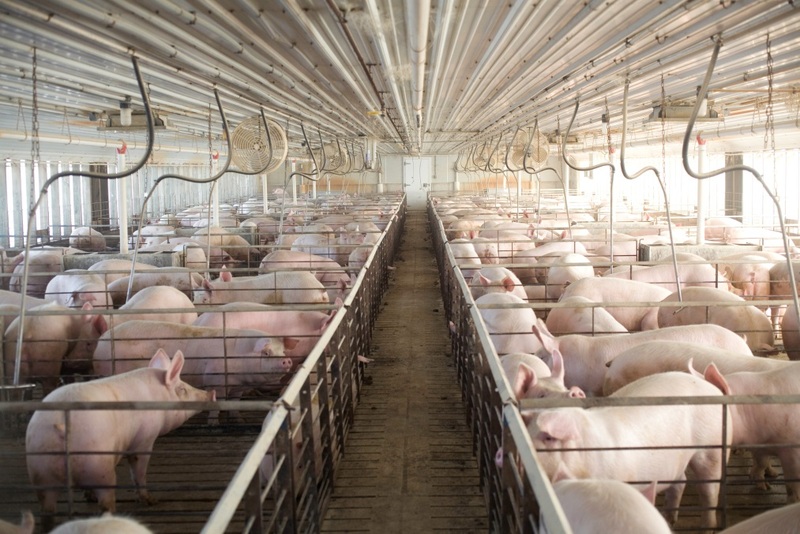 Within individual herds, it spreads most often from direct, nose-to-nose contact between pigs, through aerosols from infected animals coughing and sneezing, and via contaminated objects like sort boards, processing carts and equipment. (IAV-S is not a disease that gets in the blood, and therefore is not passed on to pigs in utero or through milk.) IAV-S can also transmit by aerosols and spread from barn to barn. “In pig-dense areas where there are multiple barns in close proximity to each other, even herds that are free of IAV-S are at high risk of getting infected from neighboring barns,” explains Tara Donovan, DVM, a veterinarian and vice president for health management at The Hanor Company. Because achieving solid cross-protection against such a dynamic threat is difficult, following strict on-farm biosecurity measures is the best current management strategy to prevent your herds from becoming infected with IAV-S. Talk to your veterinarian today to learn more, or visit www.aboutswineinfluenza.com. 1USDA APHIS, VS, NAHMS. Swine 2012, Part II: Reference of swine health and health management in the United States, 2012. February 2016. 2Dykhuis Haden C, Painter T, Fangman T, Holtkamp D. Assessing production parameters and economic impact of swine influenza, PRRS and Mycoplasma hyopneumoniae on finishing pigs in a large production system, in Proceedings. 43rd American Assoc Swine Vets Annu Meet 2012;75–76. 3USDA APHIS. Swine disease information. Available at: https://www.aphis.usda.gov/aphis/ourfocus/animalhealth/animal-disease-information/swine-disease-information. Accessed August 17, 2017. 4USDA APHIS. Questions and Answers: Influenza A virus in swine (IAV-S). Available at: https://www.aphis.usda.gov/publications/animal_health/2013/faq_swine_flu.pdf. Accessed September 11, 2017.